When you join us on the Total Tuscany Experience* you can expect first-class customer service, one-of-a-kind accommodations, amazing food and wine, and piece of mind that you can experience Tuscany with no worries. 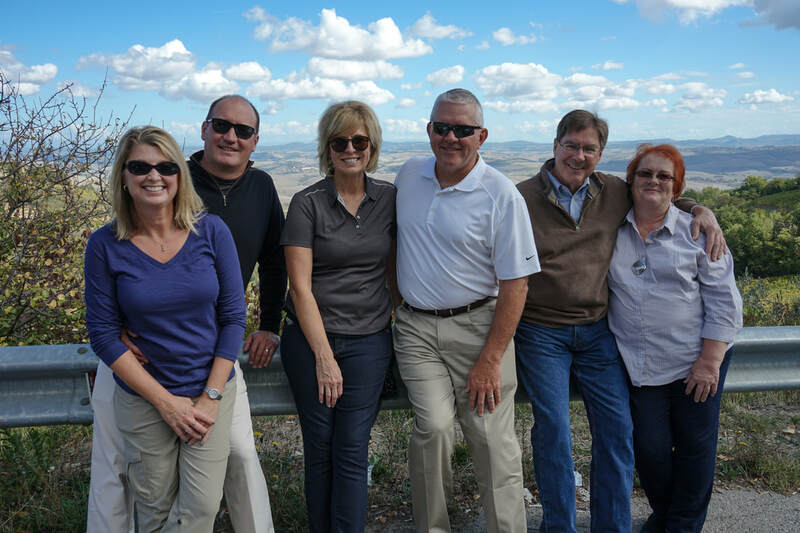 Our Total Tuscany Experience* is designed to host up to eight people who want to experience a slower pace of life, ignite their passion for living, and make new friends on a journey that will be life changing. Our lodging accommodations can also board friends who are willing to share a room. Transportation to and from the Florence airport. Private lodging in a countryside villa. Italian continental breakfast at villa. Private chauffeur and guide in an 8-person Mercedes van. House wine, meats and cheeses at the villa. All tours, tickets, cooking classes, wine tastings, and gratuities to scheduled activities. All other alcohol not referenced above. *Total Tuscany LLC reserves the right to cancel or reschedule, at its sole discretion, this Total Tuscany Experience, if there is insufficient demand or booking. Additionally, slight itinerary changes my be necessary. Note: If the Total Tuscany Experienced is canceled for lack of booking prior to departure you will receive a full refund. ﻿Can't join us? We can help plan your trip with our trip planning service.